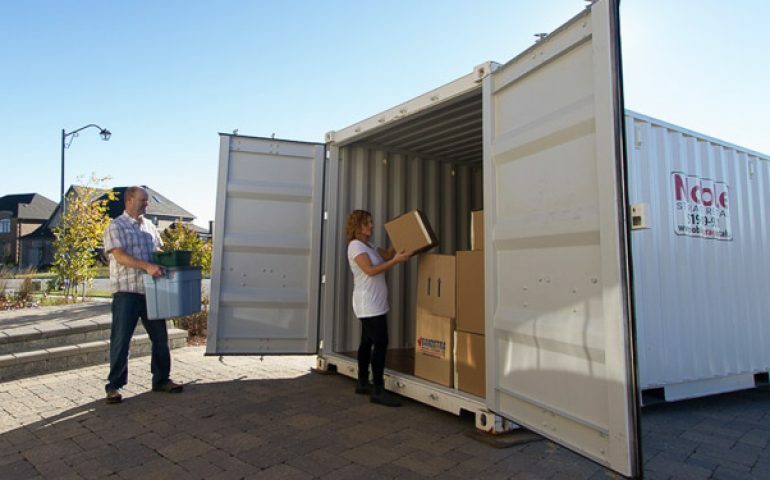 At Gold Coast Removals Pty Ltd we make the process of extended moving or storage even easier by providing a container storage and removal service that we can bring straight to your door! This service is great for international or interstate moving, delayed moves where the new location isn’t quite ready for your belongings (such as a newly built house) or for any type of short or long term storage you require. It is also a great option to store furniture and belongings securely and out of the weather when undertaking renovations or demolitions on your home. The process couldn’t be easier, we bring a 20ft high cube container directly to your premises and while you relax, our expert team will load your belongings into the container and transport it safely to our depot for storage or to its next location. Using one of our containers means the rest of your home isn’t cluttered with the furniture from other rooms that sees you tripping over everything or worse, breaking your valuable belongings. Our facility is available on either a short-term or long-term basis and you always know that your belongings are safe and secure when they are stored with us. When you need your belongings again, or would like to move them to their new home, our team will organise for it to be delivered to the new location promptly and safely. So, whether you are looking to relocate or need storage for your goods, give Gold Coast Removals a call on 5593 7460 or fill in the enquiry form located on this page and one of our friendly team will contact you to discuss your next move.